We’d love your help. Let us know what’s wrong with this preview of The Fintech Book by Susanne Chishti. A front-line industry insider's look at the financial technology explosion The FINTECH Book is your primary guide to the financial technology revolution, and the disruption, innovation and opportunity therein. Written by prominent thought leaders in the global fintech investment space, this book aggregates diverse industry expertise into a single informative volume to prov A front-line industry insider's look at the financial technology explosion The FINTECH Book is your primary guide to the financial technology revolution, and the disruption, innovation and opportunity therein. Written by prominent thought leaders in the global fintech investment space, this book aggregates diverse industry expertise into a single informative volume to provide entrepreneurs, bankers and investors with the answers they need to capitalize on this lucrative market. Key industry developments are explained in detail, and critical insights from cutting-edge practitioners offer first-hand information and lessons learned. To ask other readers questions about The Fintech Book, please sign up. The book is the collection of articles from various authors including founders, managers, managers, experts. The quality of articles differs, some of them are great, some of them are mediocre but some of them are outdated in terms as things are changing very rapidly: I've started this book 2 weeks ago and just 1 week ago Apple already announced peer-to-peer Apply Pay. But it is a great book as the introduction into FinTech and FinTech startups. - regulations laws and c The book is the collection of articles from various authors including founders, managers, managers, experts. The quality of articles differs, some of them are great, some of them are mediocre but some of them are outdated in terms as things are changing very rapidly: I've started this book 2 weeks ago and just 1 week ago Apple already announced peer-to-peer Apply Pay. 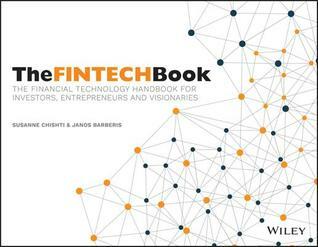 But it is a great book as the introduction into FinTech and FinTech startups. - regulations laws and compilance with laws are very very important because violation could cause a shutdown of your Fintech startup! Conceptually this is an absolutely amazing book, in which the authors make us aware that this is the first “globally crowdsourced” editorial-style treatment of the Financial Technology (FinTech) service industry. For the uninitiated, the book’s sub-title provides a better explanation, as it’s a Financial Technology Handbook for Investors, Entrepreneurs and Visionaries. It’s simply impossible to adequately reprise the content, given the exceptionally wide variety of specialist contributions; more Conceptually this is an absolutely amazing book, in which the authors make us aware that this is the first “globally crowdsourced” editorial-style treatment of the Financial Technology (FinTech) service industry. For the uninitiated, the book’s sub-title provides a better explanation, as it’s a Financial Technology Handbook for Investors, Entrepreneurs and Visionaries. It’s simply impossible to adequately reprise the content, given the exceptionally wide variety of specialist contributions; more especially when you consider that more than 160 authors from 27 countries were invited to participate, and together submitted 189 abstracts to be part of the book. Do you get the picture? In the final analysis 86 authors were selected to write full chapters. 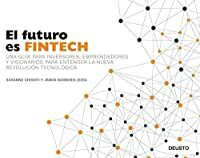 Essentially it’s a compilation covering FinTech themes, where the authors explain the drivers and implications across a wide spectrum of FinTech matters, and readers will gain an exceptionally valuable insight into the workings of the financial technology industry and key future trends. For the newbie to FinTech, I would advise reading the introduction, which in itself, has three sub-topics and four authors, which will whet your appetite for what comes next, and then take a more in-depth look at the specific topics of personal interest. The experienced finance practitioner will not be able to put this book down, but will need to set aside a substantial chunk of time to get through the 300 pages. Content specifically, the international global emerging Hubs are well researched, with some surprising reveals, followed by a treatise on the emerging markets as perceived by the authors together with their thought-provoking views on the social impact on the people living in those international regions. From the operational perspective, “real-world” practical implementable solutions are given extensive coverage whilst, from a strategic financial and investing perspective, there is a wealth of ideas, and fresh innovative thinking, to engage the mind and help broaden your personal FinTech perspective. You will be able to appreciate the effort that has been consumed to bring successful innovation to market and, looking further into the future, the authors have assembled and provided an amazing “crystal ball” for us to look into, of how our future FinTech services could be provided. I am pleased to see that each of the contributors have been formally recognised with their own section at the end of the book, where you can connect with both their LinkedIn and Twitter accounts, in addition to a pointer back to their contributions in the book. So, in summary, we have a handbook with an amazingly wide number of contributors, covering an extensive range of financial technology subjects, in the most absorbing and thought provoking way. It is amazing that this book has come to market at all, and our understanding of the future of our world is well served for the fact that it has done so. Several scholars, researcher or entrepreneurs relates their experience in creating fintech startup, and reflect on the future of the banking industry. Highly recommended as an introduction of what it is to come for the financial industry. I liked the concept of this book. Yet one should be aware that it merely a collection of FinTech related articles and not all strictly related to FinTech as such. Like any collection of essays, there is great variance in quality, some overlap, and not enough space for nuance. Much of the book is general business principles (location matters, get usability right, etc) that are not FinTech specific. There is a lot of who’s who in FinTech and some dreadful forecasting of the future. What is missing is ideas. The desk copy is beautifully designed but to concentrate on the content, I listened to the Audible version. Ожидал гораздо большего, чем разнородный сборник статей. Авторам и редакторам следовало чуть больше, чуть глубже, чуть фундаментальнее проработать тему, убрать повторы и дать свой чёткий прогноз о будущем финтеха. 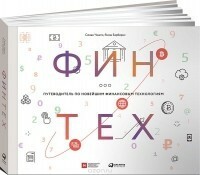 Ничего этого в книге нет. Зато есть много воды, историй о разных странах и работ десятков авторов, не заявленных на обложке. Труд, проделанный для написания этой книги, пожалуй, колоссален. Но и читать его очень и очень трудно. Спасает только интерес к теме, умение читать по диагонали и те Ожидал гораздо большего, чем разнородный сборник статей. Спасает только интерес к теме, умение читать по диагонали и терпение. А терпение и труд всё перетрут. Celá re The FinTech Book není klasickou knihou, je tak trochu podivná, jiná a určitě neobyčejná. Posuďte sami. Kniha jako taková je dílo crowdfundigové iniciativy několika FinTech nadšenců. Knihu nenapsal jeden, dva či tři autoři, ale jsou jich desítky. Celkově se na tvorbě knihy podílelo 160 autorů z 27 zemí. Na začátku bylo vytvořeno 189 abstraktů k nejrůznějším tématům z oblasti FinTechu, následně členové FinTech komunity vybrali 86 témat, které byly dále rozpracovány do finální knižní podoby. I read it for work and it's interesting enough for that. But if you're not working as an investor, banker, reporter or fintech founder it's pretty dull. Read it for work, it's useful for that. For anything else, skip. #альпина паблишер, книга должна называться так: "ФИНТЕХ - ретроспектива развития современных финансовых технологий"
Первый раз отделяю контент издания от самого издания. Оказалось, такое возможно! Книга "ФИНТЕХ Путеводитель по новейшим финансовым технологиям" случайным образом попала в мои руки, и случайность стоила 1339 рублей в Библио-глобусе. Книга собой представляет сборник статей, некоторые из которых датированы 2005! Путеводитель по новейшим технологиям :) Но не всё так печально, большинств #альпина паблишер, книга должна называться так: "ФИНТЕХ - ретроспектива развития современных финансовых технологий"
Книга "ФИНТЕХ Путеводитель по новейшим финансовым технологиям" случайным образом попала в мои руки, и случайность стоила 1339 рублей в Библио-глобусе. Книга собой представляет сборник статей, некоторые из которых датированы 2005! Путеводитель по новейшим технологиям :) Но не всё так печально, большинство статей 2015 года. Контент интересен, местами сильно ретроспективен. Контент в свободном доступе через google. Книга подписана в печать в конце 2016, мой экземпляр напечатан в 2017. К слову, про блокчейн всего 2 статьи из, примерно, 72. О формате. Формат схож с "Построение бизнес-моделей", "Разработка ценностных предложений" - альбомный формат. Физически неудобно читать, постоянные искривления страниц, приходится применять физическую силу для разглаживания. This should not have been called a book as it's merely a collection of fintech related articles without much consideration of how a comprehensive fintech book should be. As such the 'book' is very repetitive in most basic concepts and implications of fintech. As a whole this is very shallow and unsyetematic. Totally not worth the money or time. 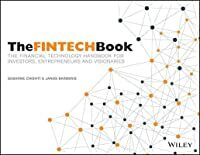 This should not have been called a book as it's merely a collection of fintech related articles without much consideration of how a comprehensive fintech This should not have been called a book as it's merely a collection of fintech related articles without much consideration of how a comprehensive fintech book should be. As such the 'book' is very repetitive in most basic concepts and implications of fintech. As a whole this is very shallow and unsyetematic. Totally not worth the money or time. This book is really a great book which provides lot of information about the FINTECH and how the latest technologies as well as active Venture capitalist funding leads to development at exponential rate in this area. It was really a god handbook where you will get to know about the views of all experts around the world in Fintech space. Straipsnių Fintech tematika rinkinys. Apie 70% turinio iš ties labai įdomus ir naudingas, tačiau likusi dalis visiškai neverta čia būti. Jaučiu pridėjo tik tam, kad sudarytų solidžios, storos knygos įvaizdį. Fintech tematika yra labai įdomi ir tikrai viena iš topinių temų. Very superficial, and some narratives are just ads for particular services. As such, if you -- like me -- know almost nothing about fintech, it introduces you to many companies, regions, and ideas involved. Which is what I wanted from it anyway.